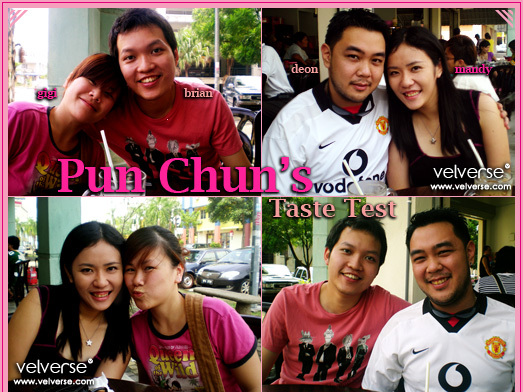 As I was looking through my picture library, I found this pics that I didn’t post… and am sorta happy to post it… coz Restoran Pun Chun brings back so much memories to me. I used to only be able to taste their Duck Drumstick Mee when I go back to visit my relatives in Ipoh during school holidays. But Brian and Gigi, bring me many steps closer to Pun Chun. Hehe… yup, they now actually have a branch near Brian’s house at Kota Kemuning. So yes, I decided to go and re-visit my good old memories. Me, Brian and Gigi ordered their famous Duck Drumstick Mee (RM6.50). My dear dear doesn’t really fancy duck, hence he opt for the Wan Ton Mee (RM4.00). I also ordered an extra bowl of Wan Ton Soup (RM4.90) to share around. Hemm… to be honest, the food is far from it’s Ipoh standards. The Duck Drumstick Mee is okay but the Duck Drumstick could be much smoother. However, the wan ton is a big disappointment to me. They used to sell wan ton with so much fillings wrapped with thin wan ton skin. Now… yuck… the wan ton skin is so thick. Argh…. WHY!!!! 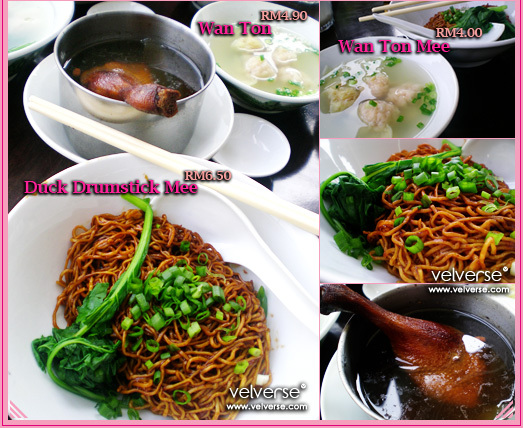 But well, at least I could still get a taste of something similar… when I am craving for some Duck Drumstick Mee.